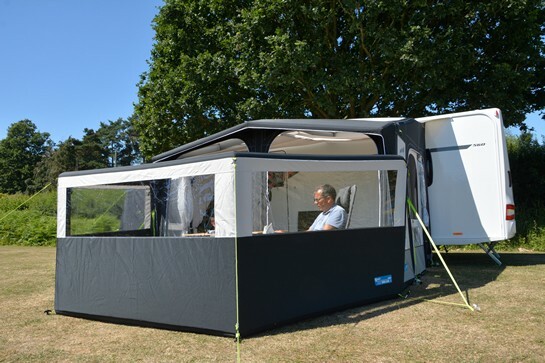 Kampa introduces the world’s first inflatable windbreak for 2019. 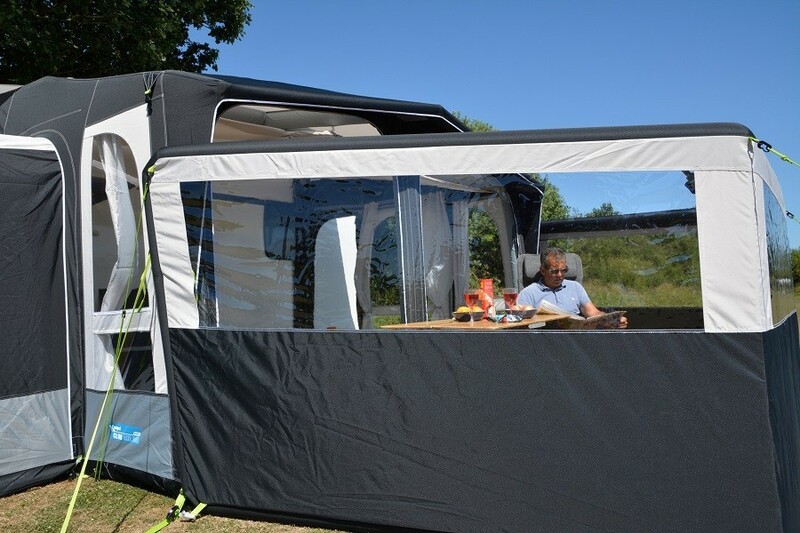 Never before has a windbreak been easier to set up; simply peg it out and pump! 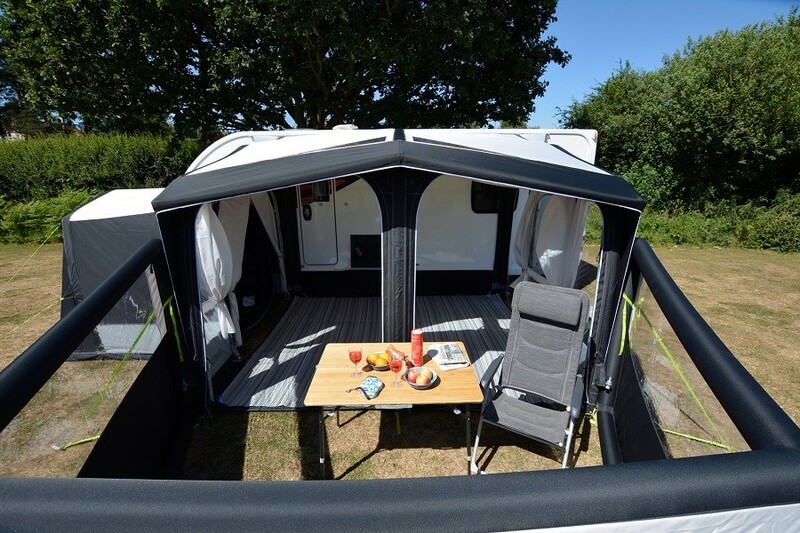 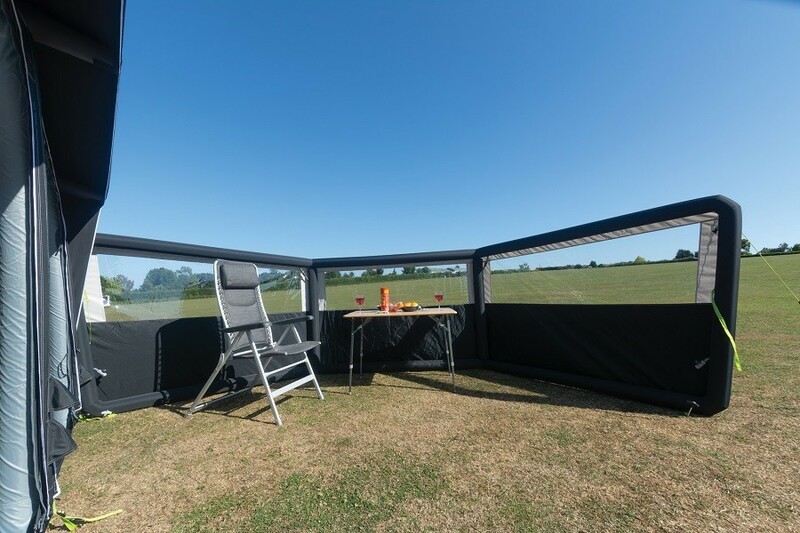 The Air Break Pro 3 can be used as a free standing windbreak or connected to the front of Kampa’s caravan and motothome air awnings, creating a fully enclosed space which is perfect for keeping pets in! 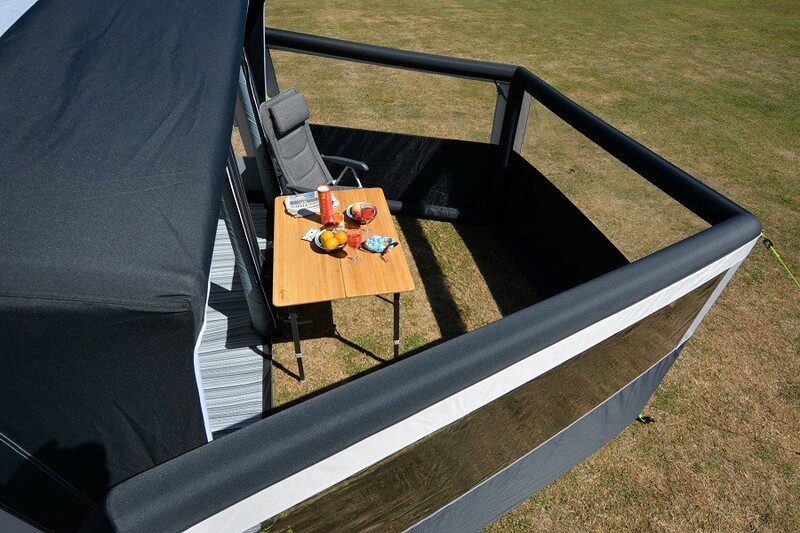 The Kampa Air Break Pro 3 is designed to fit inflatable awnings between 200 and 330cm wide. 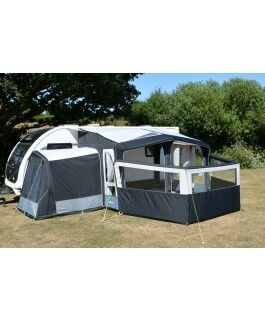 It uses Kampa’s unique Air Frame technology system with single point inflation making it extremely easy to set up and also surprisingly sturdy in the wind. 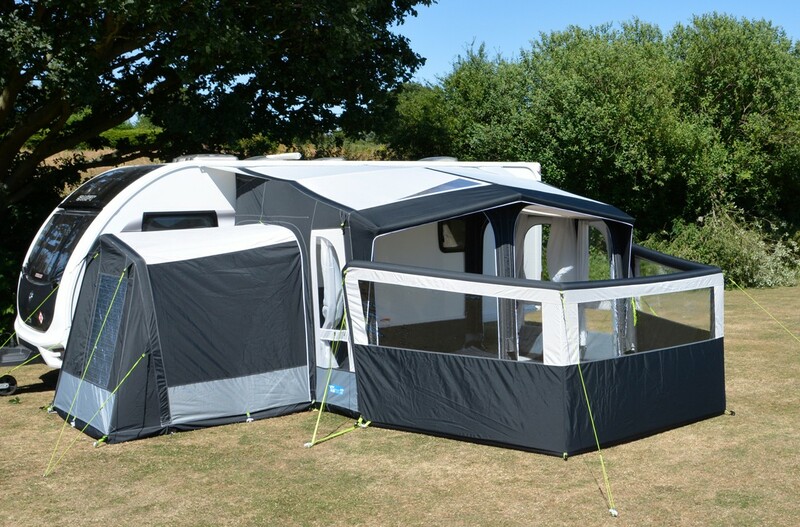 The Air Break Pro 3 inflatable wind break comes in a striking colour combination and Weathershield Pro material making it the perfect match for Kampa’s air awnings. 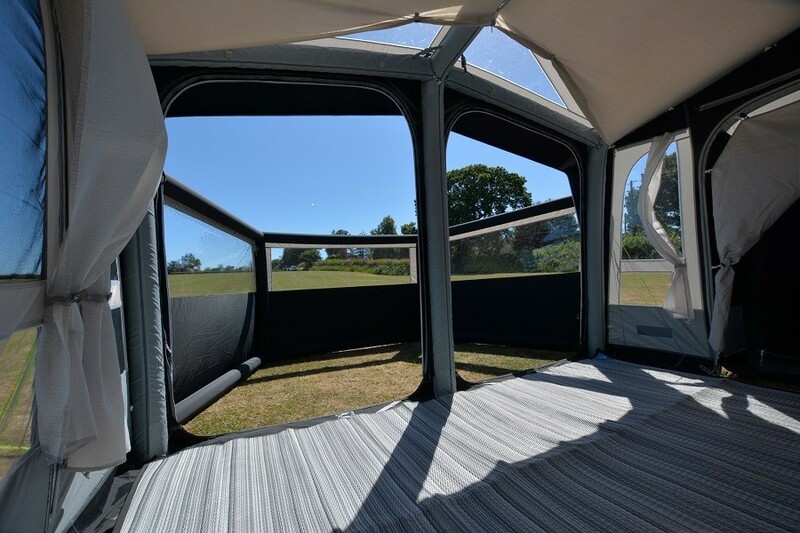 A window panel runs without the Air Break allowing a clear view of outside.